ATLANTIC – Officials at Cass County Health System report that while the flu season has begun in Cass County, numbers of confirmed cases are still low. If patients think they have come down with influenza, CCHS is asking patients to call the Atlantic Medical Center to talk to the Resource Nurse. A number of factors come into play as to whether or not a patient should be seen by a medical provider. 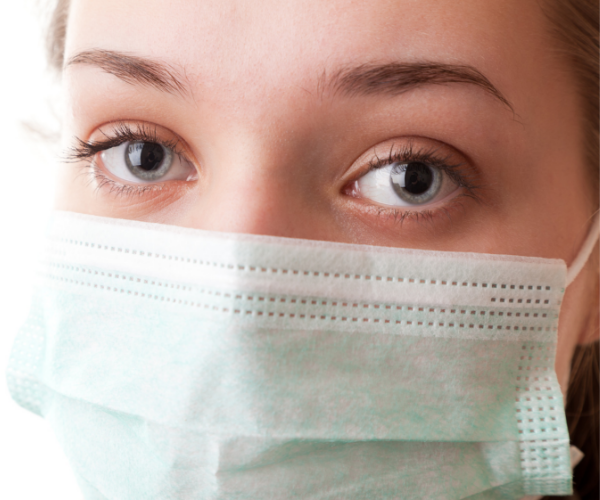 If patients are directed to come in for a flu test, or to be seen by a provider, CCHS asks that patients wear a mask upon entering the facility. “We have free masks at every entrance, and it is critical that our influenza patients wear the mask inside of CCHS. I know that people can feel self-conscious about wearing a mask, but that mask is what helps keep our most vulnerable patients safe. As a healthcare facility, we have lots of patients in the building who are most at risk for flu complications. Newborns, elderly, patients going through chemo – they are all here,” said Dr Bean. Patients here for influenza testing will be seated separately from other patients, and will be escorted into a designated exam room for testing. Results will be given over the phone, so that patients can return home as soon as possible. During flu season, CCHS officials also remind the public to not visit patients in the hospital if you are not feeling well or have any cold or flu symptoms. “Visitors have good intentions – but if you are feeling ill, the best thing you can do is stay away from loved ones in the hospital who are recovering,” said Dr. Bean. If patients have concerns about influenza, or think they have influenza, they should call 712-243-2850. If a person has influenza symptoms and any shortness of breath or breathing difficulty, they should seek medical care right away.